This perfectly haunting line begins the story of our narrator (whose name is never revealed). After meeting Maxim de Winter in Monte Carlo, the two quickly marry and return to his home, a famous estate in England called Manderley. They seem to care for one another, but the marriage is shadowed by the death of Maxim's previous wife, Rebecca, who drowned the year before. The narrator feels like the house is haunted by Rebecca's memory and is upset by frequent comparisons to how different she (a simple, quiet middle-class girl) is from the seemingly perfect Rebecca (beautiful, the life of the party, kind, funny, clever). The situation is only made worse by the housekeeper, Mrs. Danvers, who loved Rebecca and can't get over her death. 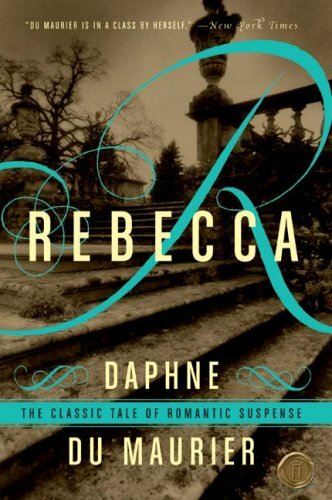 Rebecca is a great story. I loved the twists and turns, the haunting atmosphere, the slow build up. It also has a lot of great, unique characters in the new Mrs. de Winter, Maxim, Rebecca, Mrs. Danvers, and Beatrice. My issues with it are the length (I think it could be reduced quite a bit) and backstory. I would have loved if du Maurier had slipped us back in time at some point to see Rebecca herself in action. But maybe that's the point. The book bears her name as its title, and yet we never meet her ourselves. What we know of her is entirely composed of the opinions of characters, who each see her in a different light. It's also telling, I think, that her name is the title and yet the narrator has no name at all. VERDICT: 3/5 stars. I would certainly recommend it, but it wasn't one of my favorites.